. 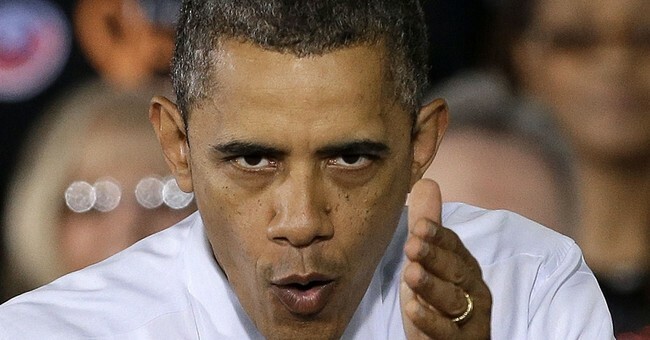 . . he smiles and tries to cloak his goals in the guise of a "reasonable approach to gun control", he quietly and behind the scenes schemes with his Attorney General Eric Holder to use whatever tactics they can to achieve as much as they can, with little regard for what the majority of the American people want. The United Nations Arms Trade Treaty, regulating the international trade in conventional arms, from small arms to battle tanks, combat aircraft and warships, will enter into force on December 24th of this year. The Obama Administration has fully supported this treaty. While it violates the Second Amendment of U.S. Constitution and likely won’t be ratified by the Senate and enacted into law in this country, it serves as a symbolic victory for the anti-gun politicians in Washington, D.C.
. . . with Islamic terrorists from ISIS threatening to bring their campaign of Jihad butchery . . . now certainly isn’t the time to disarm the American citizenry. With the UN treaty in effect will some sort of Obama ‘executive action’ be in the future ? With just over two years left in the administration of President Barack Obama, and with his promise, some might view it as a threat, to use the powers of his office to make changes he believes are best to move the country towards the vision he and his supporters have for the future of America (that fundamental transformation he told us about), protecting Americans’ right to bear arms will be even more important as the Obama Presidency winds down. The president has made no secret of his interest in enacting more stringent gun control across the board in America. While he smiles and tries to cloak his goals in the guise of a “reasonable approach to gun control”, he quietly and behind the scenes schemes with his Attorney General Eric Holder to use whatever tactics they can to achieve as much as they can, with little regard for what the majority of the American people want. California Democrat Senator Diane Feinstein continues her efforts to outlaw private ownership of guns, whole-heartedly supported by the Obama Administration. Diverted only temporarily by her attack on the CIA and her release of information about the CIA’s enhanced Interrogation program, Feinstein is sure to come back to her gun control efforts, which will be the crowning jewel in her Senate career should she retire after this term in office. Considering the challenges faced by America, with Islamic terrorists from ISIS threatening to bring their campaign of Jihad butchery to American shores, the most recent cyber-attack orchestrated by North Korea which revealed our nation’s vulnerability to attacks against our critical infrastructure, an increasingly bellicose Vladimir Putin and communist Chinese threats of expansion, not to mention the regular threats made by the Iranian mullahs, now certainly isn’t the time to disarm the American citizenry. Yet the Obama Administration and their allies among the Democrats in the House and the Senate continue to argue for strict gun control, and take whatever steps they can to continue moving in that direction. With the UN treaty in effect will some sort of Obama ‘executive action’ be in the future ? Advocating for enforcing the existing regulations and arguing against the need for additional laws, gun advocacy groups wage an uphill battle against a biased news media, that seems to relish using any acts of gun violence that happen around the country as a bludgeon to beat the NRA and other groups over the head, and to beat the drum once again for stricter gun laws. Stricter laws by the way that will have little if any effect on the random acts of gun violence perpetrated by people who care nothing about the laws currently on the books. But that doesn’t stop the Obama bandwagon from rolling along with their gun control agenda, ignoring the U.S. Constitution and the Second Amendment. More importantly ignoring the threats we face as a nation. Which is why we will need a well regulated citizen militia to help protect this nation in dangerous times, and from a weak and dangerous president determined to leave strict gun control as one of the foundations of his legacy. Del W. Wilber brings over thirty years of experience in Security and Counterterrorism as a former Intelligence Officer serving with the Central Intelligence Agency in Eastern and Western Europe. His expertise took him to Iraq from 2004-2007 where he served as an advisor for counterterrorism and counter-IED operatons to the Commanding General, U.S. Army Multi-National Corps – Iraq. Del also served as the Counterterrorism Advisor and Consultant to the State Investigative and Protection Agency (SIPA) for the government of Bosnia and Herzegovina, and the autonomous Republik of Srpska, as well as the CT SWAT unit for the Ministry of the Interior. He is currently Owner of Secur-intel-solutions. medicine online shopping generic dostinex Last news canadian pharmacy cialis optimise medicine use. medicine online shopping generic dostinex Last news canadian pharmacy cialis optimise medicine use.